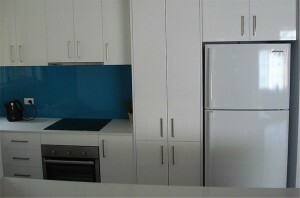 Kitchens In Focus have been designing, renovating and planning kitchens in Sydney for over 30 years. The owner, Larry is a kitchen design specialist with many kitchen ideas to suit clients needs. Our new kitchens are of the highest standard, and come with a vast array of surface options, including; benchtops, glass splashbacks, and many more features. When looking at putting in a new Kitchen you can expect quality service from inquiry to install with your Kitchen Company Sydney provider. Come into our showroom where you can touch and see our kitchens. There is a large selection of countertops, cupboards and design ideas all ready for your visit. Talk to our knowledgable staff and ask all the questions you have, you’ll be happy to know they are rarely stumped and can answer just about anything you throw at them. When you talk to us you are talking to professionals from the Kitchen Company Sydney. Our experienced designers know exactly what to ask so they can help you make the right choices that are specific for your kitchen design setup. They will ask you questions to learn about your house and your circumstances, including style and budget needs. A kitchen company specially designed for you can be made to fit most any budget. Kitchens don’t need to be over the top expensive and can still be built to last and fit your family in a way that you want to use it. Some people prefer a kitchen made for a baker, others want a second family room. What do you desire? The exciting day arrives and your old kitchen is removed, and the new one goes in. All your requirements for plumbing and electrical in your new kitchen is taken care of too. This is probably the last day you will want to order out for dinner because tomorrow you will wake up to your brand new kitchen brought to you by your Sydney Kitchen Company. If you are considering renovating or designing a kitchen that requires a professional designer, then call Kitchens In Focus to speak with one of our team members to enquire about the next stage.